When Revealed: Destroy all heroes with the card %27Sacked!%27 attached. Then, shuffle Roasted Slowly back into the encounter deck. 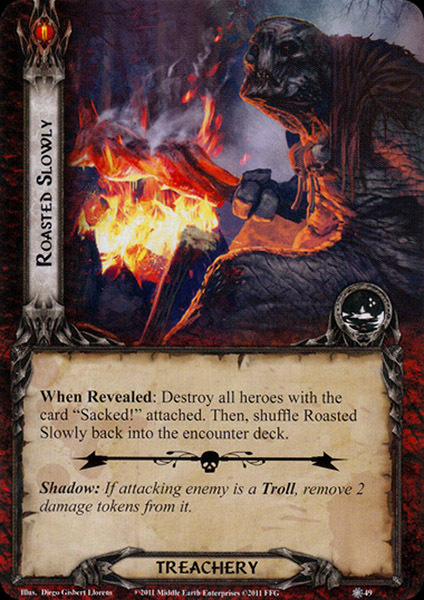 Shadow: If attacking enemy is a Troll remove 2 damage tokens from it.